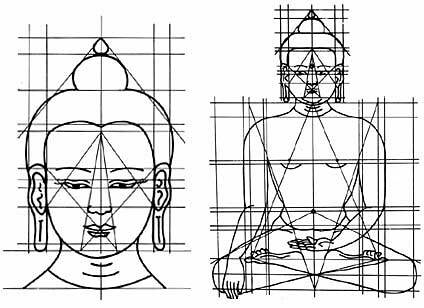 The title Buddha means Enlightened One or Awakened One. 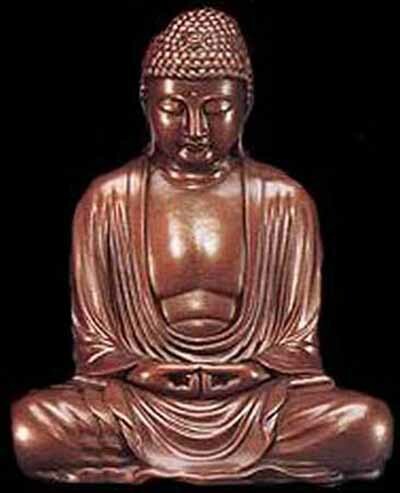 In Bhuddism, the Buddha refers to Siddhattha Gautama. 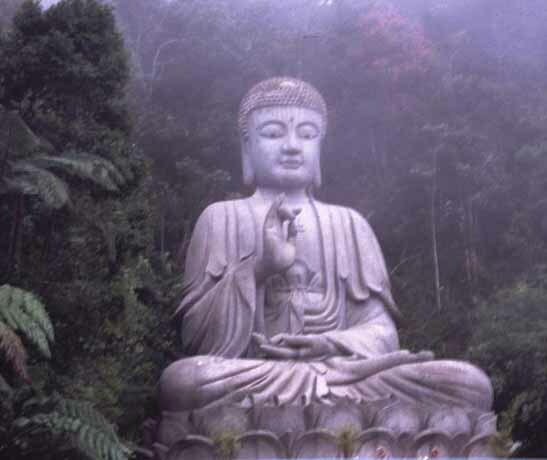 Human remains buried by a pair of monks in China over a millennia ago are claimed to belong to Buddha. Believers say the 2,000 pieces of cremated bones belonged to Siddhartha Gautama, whose teachings became the foundations of the Buddhist religion. The cremated bones were found in an ceramic box with an inscription claiming they belong to Buddha, who is believed to have died 2,500 years ago. 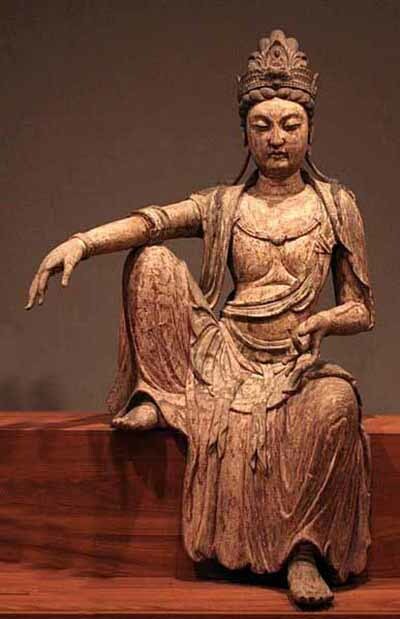 The box was found in Jingchuan County, China, alongside more than 260 Buddhist statues. The National Geographic Channel documents the excavation of Maya Devi Temple in Lumbini, Nepal, the birthplace of the Buddha. Archaeologists in Nepal say they have found traces of a temple structure linked to Buddha's nativity going back to the sixth century B.C. The remnants of a timber structure - unearthed at the Maya Devi Temple in Lumbini, Nepal, which has traditionally been venerated as the spiritual leader's birthplace - represent the first archaeological material linking the birth of Buddha and the religion he founded to a specific century. An ancient timber structure that may have once marked Buddha's birthplace has been unearthed in Nepal. The new discovery could help pinpoint the time period when the spiritual leader was born. Charcoal and grains of sand from a timber structure at the Maya Devi Temple in Lumbini, Nepal, date to the sixth century B.C., according to the a study published in the December issue of the journal Antiquity. The ancient building may have been a shrine built to enclose a tree that the Buddha's mother clung to during the birth of her son. Previously, the site, which was widely believed to be Buddha's birthplace, contained evidence going back just to the third century B.C. The head of a Buddha statue peeks above the dirt in Handan , China, where archaeologists have reportedly unearthed nearly 3,000 Buddha statues, which could be up to 1,500 years old. The discovery is believed to be the largest of its kind since the founding of the People's Republic of China in 1949. 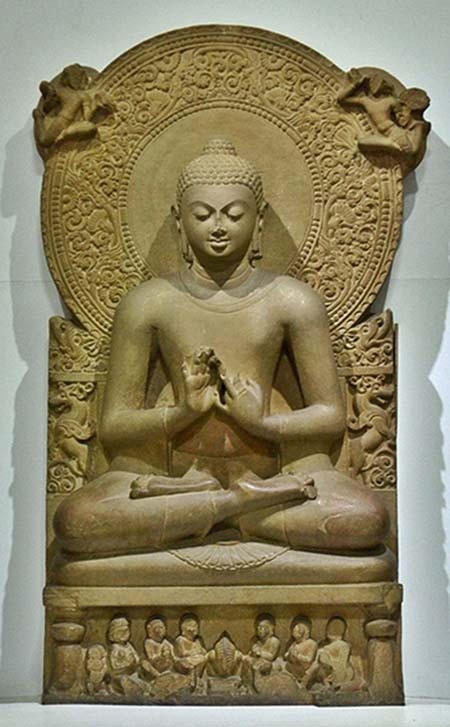 The Buddha statues - most of which are made of white marble and limestone and many of which are brokenÑcould date back to the Eastern Wei and Northern Qi dynasties (A.D. 534 to 577), experts say. The statues - discovered during a dig outside of Ye, the ancient capital of the Eastern Wei and Northern Qi dynasties - may have been rounded up and buried after the fall of the Northern Qi dynasty by later emperors in an attempt to purge the country of Buddhism. The British Library has discovered sensational manuscript fragments the potential significance of which for Buddhist scholars is comparable to that of the Dead Sea Scrolls for Christianity and Judaism. The manuscripts, birchbark scrolls that looked like "badly rolled-up cigars" when first shown to the Library, are believed to be the earliest surviving Buddhist texts. "These will allow scholars to get nearer to what Buddha said than ever before," said Graham Shaw, deputy director of the Library's Oriental and India Office Collections. They date from the end of the 1st century AD or the beginning of the 2nd century AD. 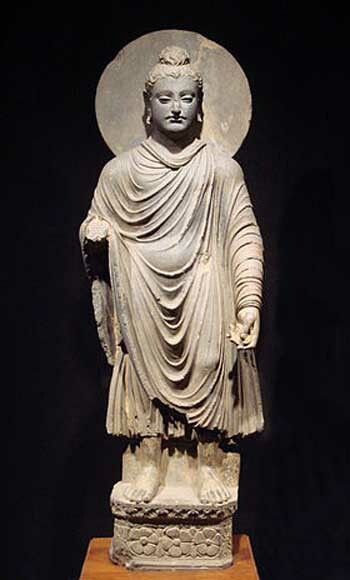 Buddha, who inspired disciples to spread his teachings, died in 486 BC. "With these", said Mr. Shaw, "we're within 500 to 600 years of his death." Apart from bringing scholars closer to the original language of Buddha, this could corroborate the authenticity of teachings and sermons recounted in later texts. The manuscripts include 60 fragments, ranging from Buddha's sermons to poems and treatises on the psychology of perception. The Library acquired them from a British dealer for a "five-figure sum", with help from an anonymous donor. Seen in a new light, their value is incalculable. 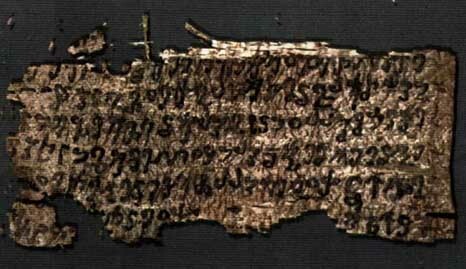 Years of study lie ahead before the text can be deciphered, analyzed and compared with existing texts. The fragments include tales told on the banks of Lake Anavatapta at an assembly of the Buddha and his disciples. 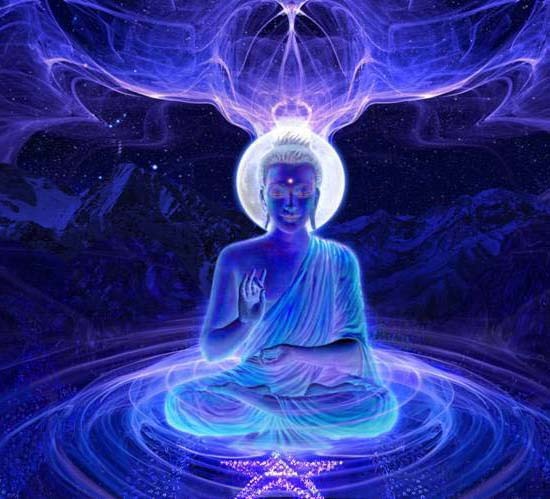 Buddhists believe in reincarnation and each explains his deeds in a former life and how they influenced this one. Just getting a peek at the text proved difficult. Those involved had to uncurl the "cigars" whose fragility was a conservator's nightmare. Mr, Shaw said: "It is fiendishly brittle material. The first question was, 'will these ever unroll or will they simply crumble into many pieces?' "There have been reports in old excavations of things like this having been found and the moment they were touched literally crumbled to dust." In just purchasing them, we were taking a risk. One didn't know whether they were salvable. We put them in a bell jar overnight and allowed them to be slowly moistened. Then one of our conservators used tweezers and began unrolling, and another applied more moisture, without saturating it. The exact origin of the scrolls is unknown beyond the fact that they were probably found in Afghanistan in earthenware jars. These, too, may be original pieces, but tests have yet to be conducted on them.